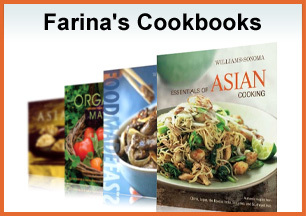 Friends and students frequently ask me how best to stock their pantries with Asian ingredients. It can be unnerving and time consuming to find your way through the aisles of an Asian market, but once you identify the essential Asian ingredients, adding Asian recipes to your repertoire is easy. Predominantly dry ingredients are the starting point. You will want to stock up on items that are shelf stable or condiments that can be refrigerated up to six months. I recently shared some ideas on 12 Most (“12 Most Indispensable Asian Pantry Ingredients“). I will now also share here how you can get them easily online without having to go to the Asian Market – via my Asian Pantry Kits (more on that below). Dried Egg/Rice Noodles which are used in almost all Asian cuisines. 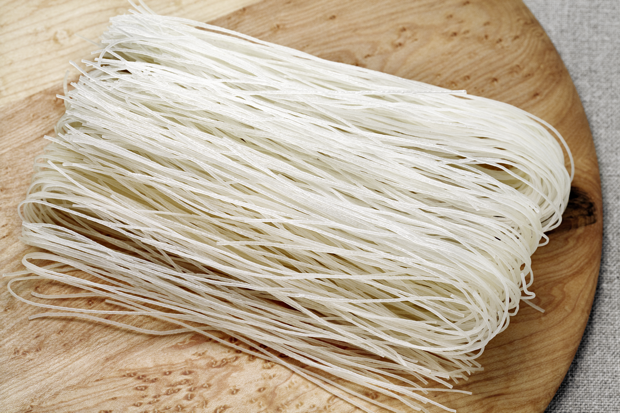 Dried noodles need to be reconstituted before using in a soup, stir-fry or braised dish. Both types of noodles can be used as substitutes for fresh rice. 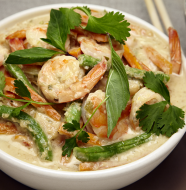 Jasmine Rice which is grown predominantly in Thailand, is known for its aromatic scent and mild, nutty flavor (if you can’t get this, Basmati rice is a good substitute). Soy Sauce is essential for any Asian Pantry. There are, however, important differences among soy sauce types. 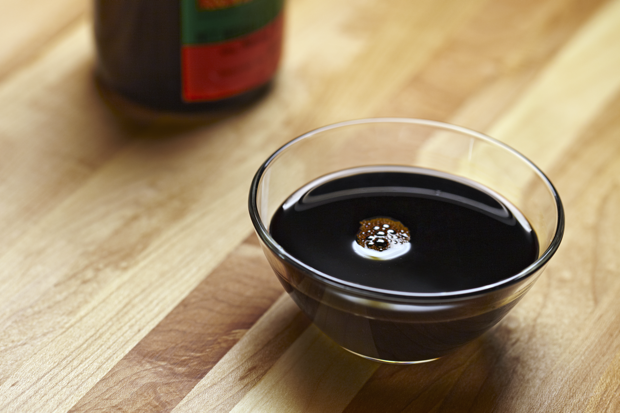 Dark Soy Sauce, also called black soy, is fermented soy beans with water, salt and molasses. 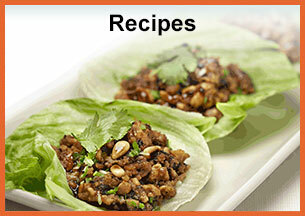 It is thicker and slightly sweeter than light soy sauce and is often used to add color to a dish. Light Soy Sauce, also called thin soy sauce (but not to be mistaken for “lite” or reduced sodium soy), is a must in every Asian pantry - made from fermented soy beans, water and salt. Sweet Soy Sauce, also called kecap manis, is used predominantly in Southeast Asian cooking. This soy is a thick, dark and sweet soy that is seasoned with palm sugar, star anise and garlic. It is most commonly used as a table condiment and for adding flavor and color to a dish. Coconut Milk, the liquid from the pressed grated meat of a ripened coconut. Naturally sweet, it is used to flavor, soup, sauces and desserts. Once opened, you may refrigerate it up to 5 days. Fish Sauce, the amber pungent liquid derived from the the fermentation of salted anchovies and water. Like soy sauce, it is used to season meat, seafood and vegetables. It adds flavor to soups, sauces and dressings. Miso Paste (or Shiro miso). I frequently cook with miso, a fermented soy bean paste used as a marinade and for flavoring soups, sauces and braised dishes. It is typically salty in flavor, ranging form pale yellow to reddish-brown. 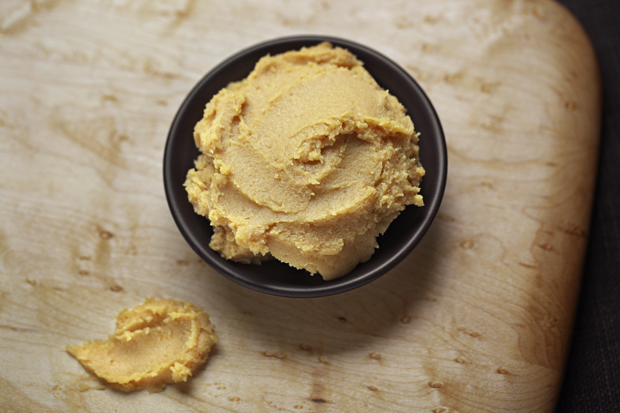 Miso paste stores up from 4 to 6 months refrigerated. Mirin is a sweet Japanese rice wine made from distilled glutinous rice and sugar. It is typically used for making sauces and dressings – or for glazes for meat and vegetables. Chili Sauce, popularly known as Sriracha (considered the Asian version of Tabasco sauce). It is the mildest of chili pastes made from sun-ripened chilis ground into a smooth paste with garlic, vinegar, sugar and salt. Rice Vinegar (unseasoned). Mild in flavor, this slightly sweet vinegar is made from fermented glutinous rice. Unlike sushi vinegar, this type of rice vinegar has no added sugar or seasoning making it ideal for pickling or for using in light vinaigrettes. Japanese/Korean Pantry Kit: From seaweed to red pepper paste, this kit will start you on your way to preparing a variety of dishes from Japan and Korea. Chinese Pantry Kit: This includes all the basic liquid and dry condiments that every Chinese pantry should have, including: Light & Dark soy sauce, Black vinegar, Chinese rice wine, Chili bean paste, Sriracha chili sauce, Hoisin sauce, Dried black mushrooms, Fermented black beans – and more. Southeast Asian Pantry Kit: This elaborate pantry kit is a must for preparing dishes from Vietnam to Thailand. It contains essential basics from palm sugar to sweet soy sauce. And now, when you order a kit, you’ll get it delivered with a free bamboo steamer! 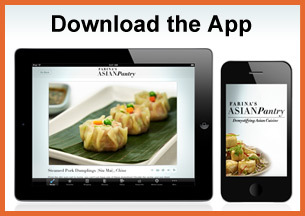 So have fun stocking your Asian Pantry and cooking more Asian dishes.